Are you looking for a good way to keep criminals away from your office and home? With security camera systems running into the thousands, it can sometimes just be easier to go without security measures. However, VideoSecu have produced a range of fake cameras which will do a great job of keeping any potential criminals at a distance and seeking out an easier target. Their cameras are cost effective and won't cause you to break the bank in order to pay for them. Because of their low tech, these dummy cameras require a small amount of maintenance, this maintenance being changing the batteries when they run out. 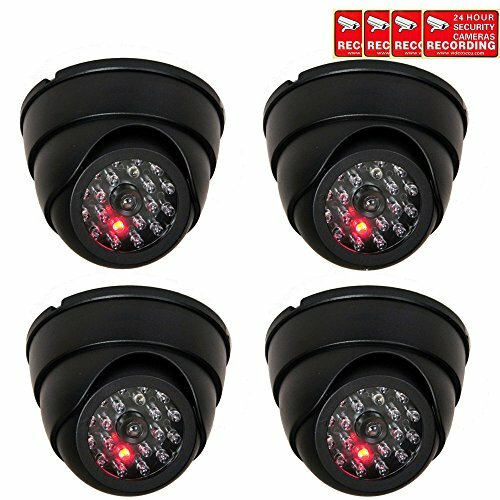 With a flashing LED recording light, giving the camera a more realistic look, it can be easy to see why someone could mistake this for being a fully fledged camera which is part of a security camera system. Often, these fake cameras to send criminals on their way, as most won't get close enough to do further investigation to find out whether or not it is a real camera. This means that these dummy cameras can help to reduce your chances of being broken into or harassed by passers by. This method is by far the most cost effective way to have some sort of security around your premises, helping to keep those unwanted people out or far away. This article will help to explain the features, as well as the pros and cons of this dummy camera. 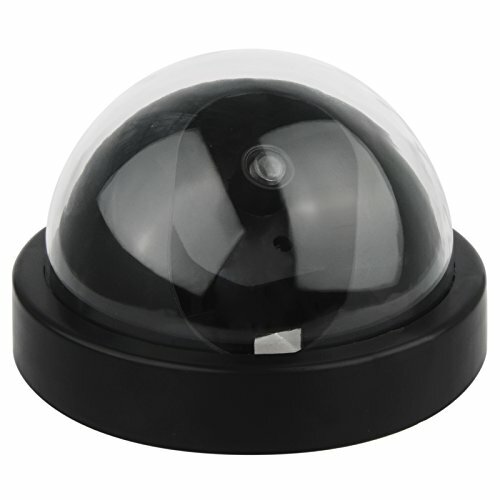 The small VideoSecu Dome Dummy Camera is packed with tons of great features, all of which help to add to the real look and feel of the camera itself. 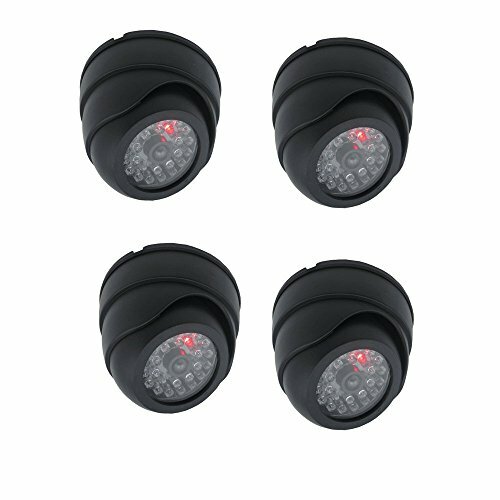 With it's built in flashing LED which constantly flashes to give the sense that it is recording, which can be seen from a far distance. As well as this, it also has fake IR LEDs which help give the camera even more of a realistic look. It is very cheap and efficient to use, helping to defer criminals to an easier target. These cameras are easily mounted to either a wall or ceiling, which gives you the option to see where it would look more realistic given your options. 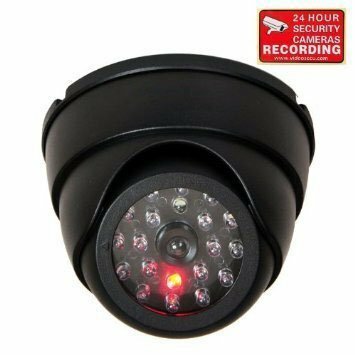 This Videosecu dome dummy camera is affordable, meaning that even if you have a low budget, you can still make your house safe and secure. Easy to install, this particular dummy camera comes with a full mounting kit, meaning that it can be installed practically anywhere. 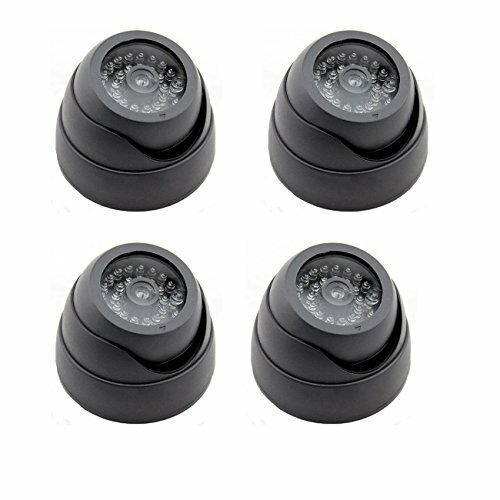 Package contains 4 dummy cameras, which means you can cover a large range, especially if you have a large premises. No wiring knowledge is required to set them up. Batteries don't come included which can be a pain. The one major downside is that these are dummy cameras, and do not record any incidents which may occur. When it comes to making your home more secure, a dummy camera can be a great and inexpensive idea. However, it is important to note that these cameras are for deterrent only and do not record any events which may unfold on your property. So if you are looking for a recording device then it would be a good idea to have a camera system installed, otherwise if you are just looking to deter criminals and vandals from your properties then the dummy cameras are definitely a good idea. With the dome shape of these fake cameras, they can give a more realistic look, as they will not be approached as their real models would be able to do a full 360 degree rotation, catching anyone in their sights.